To Fit : Saab 9-3 Sports Saloon/Sedan & Convertible 2003 onwards. H&R Coil-Overs do a perfect job over their lifespan without deterioration - no foaming, no fading. 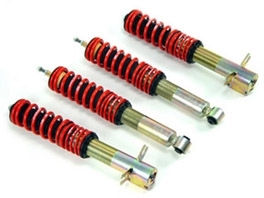 Of course carefully developed and selected high quality H&R-springs are included.